Doing your own conveyancing can be a rewarding exercise – and save hundreds of pounds in conveyancing fees. However, it is not something to be entered into lightly. Any transaction involving the buying or selling of property is highly technical. The conveyancing process can be lengthy and anyone doing it themselves will have to devote considerable time and attention to the process. DIY conveyancing should be approached with caution by anyone, and particularly by people who are very busy or who have full-time jobs. A non-legally qualified person could also be at a disadvantage in any negotiations if the other side has professional advice. The potential costs of getting the conveyancing wrong can vastly outweigh the money saved in conveyancing fees. Before embarking on the process there are potential pitfalls to bear in mind. There are some situations where DIY conveyancing may be best avoided. Advice and information about DIY conveyancing is now widely available online, as well as from other sources. However, by necessity, this information will be more or less generalised and will not be aimed at the specifics of a particular sale. Every sale will be different, no matter how straightforward it might seem. It may be difficult for a lay person, without the benefit of professional advice, to identify the potential problems of a transaction. Any transfer involving a leasehold property will be much more complicated than a freehold transfer. Checking, and understanding, all the terms of what can be a very lengthy legal document – the lease – is vital. DIY conveyancing on a leasehold property is generally not advisable. A mortgage company who is about to lend hundreds of thousands of pounds against the security of a property will want to be sure that everything is in order with the transaction. Mistakes in the conveyancing process could mean that the property has a much lower value than anticipated or that the conveyance itself is defective. The mortgage company could insist that the buyer has the assistance of a properly qualified solicitor or conveyancer to ensure that the lender’s position is protected. Even if the mortgage lender allows a buyer to do their own conveyancing they will undoubtedly engage a solicitor to represent their own interests – and charge the borrower for this service. It is also possible that the other side could be troubled by the idea of someone doing their own conveyancing. They may be concerned that something will go wrong or just that it will slow down the process. Some sellers may be reluctant to proceed on an offer if the buyer is doing their own conveyancing and buyers may be worried that they will not get what they are supposed to be buying due to errors made by a DIY conveyancer. The vast majority of property today is on registered land. This means that details of the property are held on a central register by the Land Registry. The information held should include a history of who has owned the property, any mortgages on the property and certain restrictions or interests which have been registered against the property. One of the main reasons for the introduction of a standardised registry of land was to make the conveyancing process easier and more reliable. Buying or selling unregistered land was always a much more difficult and dangerous process involving a great deal of research to ensure that a prospective buyer knew exactly what they were buying. A buyer would be very wise to take great care, and get legal advice, before deciding to do their own conveyancing on unregistered land. There may be several stages during the conveyancing process where either the buyer or the seller has to do something on trust that the other party will do something in due course. It may be that both parties are meant to do something simultaneously but, for practical reasons, this is not possible. This could happen around exchange of contracts or during the transfer of the deposit or mortgage funds. A solicitor can give a legally-binding undertaking, or promise, that the necessary action will be carried out. The other side can rely on this undertaking safe in the knowledge that if the other side fails to carry out their obligation the solicitor will be liable for any loss suffered. 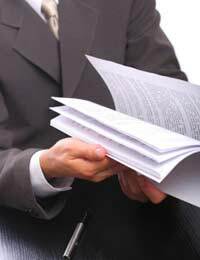 A non-legally qualified person cannot give a legally-binding undertaking. i recieved a letter some time ago from the council regarding buying my freehold. but at the time i was not in a position to do so .some time later i reconsidered the offer, so phoned the department involved and they sent me out a proposed price plus there charges are for legal fees. i phoned back and the person in charge of the purchase procedure said i should engage a solicitor, so i phone the solicitor i used when buying the premises. he asked me to forward the said letter from the council regarding freehold purchase . it has been several months now i phone my solicitor on several occasions also e-mailed him , and he say,s he,s heard nothing or recieved nothing from the council. i have also phone the council on several occasion and the person dealing with this matter has either been out of the office at the time so i ask the person,s i spoken to, to leave a message for him to get in touch with me reguarding the acquisition . and on other occasions been told he was on the sick. could you please tell me were i stand in this matter . and could you tell me what the ussual cost of of conveyancing and normal freehold charges for a 3 bedroom property in the in the glenwood area of cardiff . sincerly david.